So. 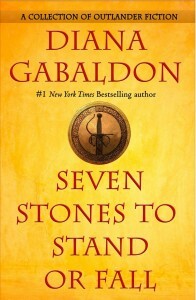 This is (as the front cover suggests) a collection of seven novellas (fiction shorter than a novel but longer than a short story)), though all of them are indeed part of the Outlander universe and do intersect with the main novels. Back to my SEVEN STONES webpage. The top image (gold cover) is a U.S. edition. 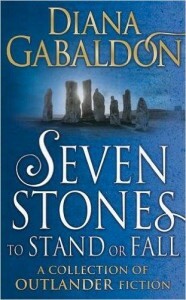 The image with the blue cover shows a U.K. edition. This page was last updated on Wednesday, August 8, 2018 at 2:50 p.m.